Many of our customers have affiliate programs that rely on hundreds (or thousands) of affiliate partners to drive traffic and conversions. 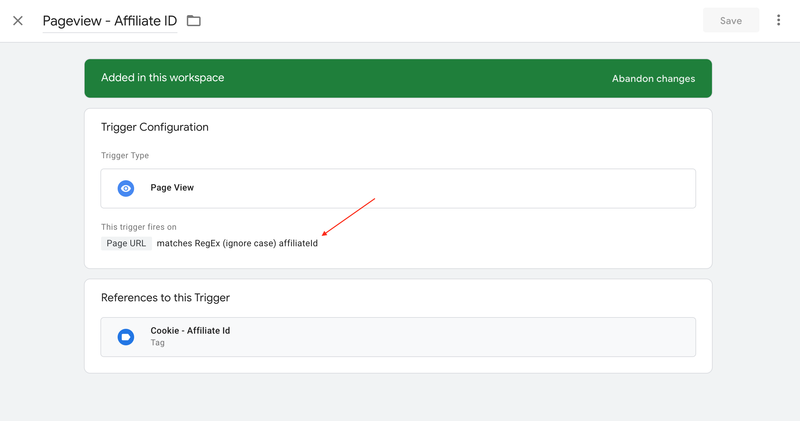 But these partner specific IDs are not always available in Google Analytics hits and can’t be used in various tags if you wanted to monitor/track by affiliate partner. 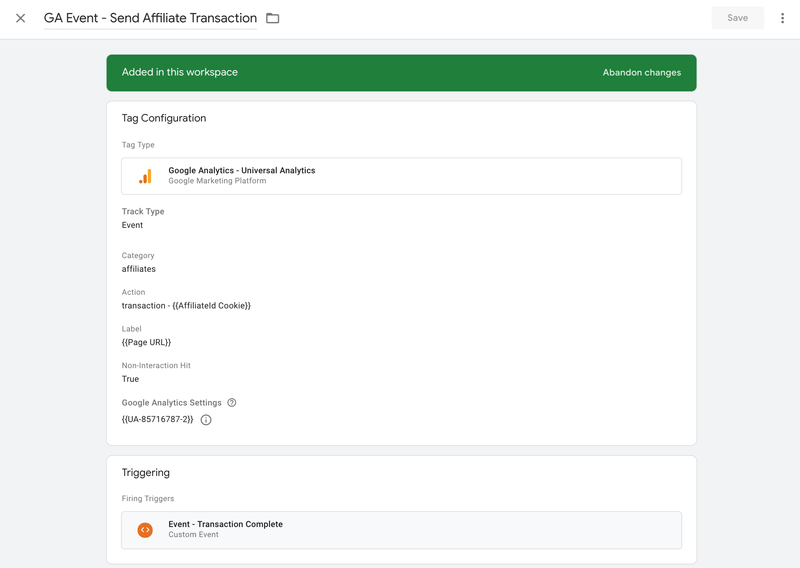 All you see in GA is a source medium like “cj / affiliate” and potentially campaign ID but you usually won’t get the partner ID because it is in a custom query parameter. These might need to be used to pass back the partner ID to the affiliate, track what partners are your best performers, who’s skimming the most revenue off the top, etc. 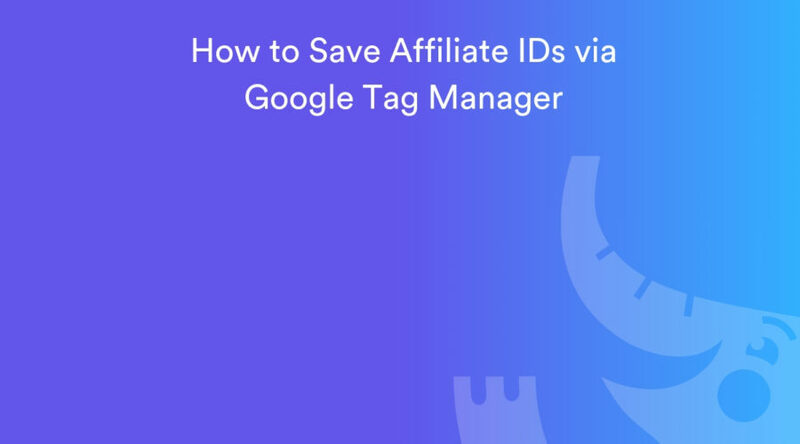 This quick guide will show how you can store affiliate IDs in a cookie to use in any tag including a custom transaction event in Google Analytics. Inside of GTM > Variables > Custom Defined Variable create a new URL variable with Query set as the component type. Then you’ll need to look for the query parameter that is in the URL people click on from your affiliates to visit your site. Where affiliateId is the unique affiliate ID you are looking to track. Next up you need to create a custom HTML tag inside of GTM that stores this variable in a cookie. The cookieValue: this is the variable that you just created in step 1. 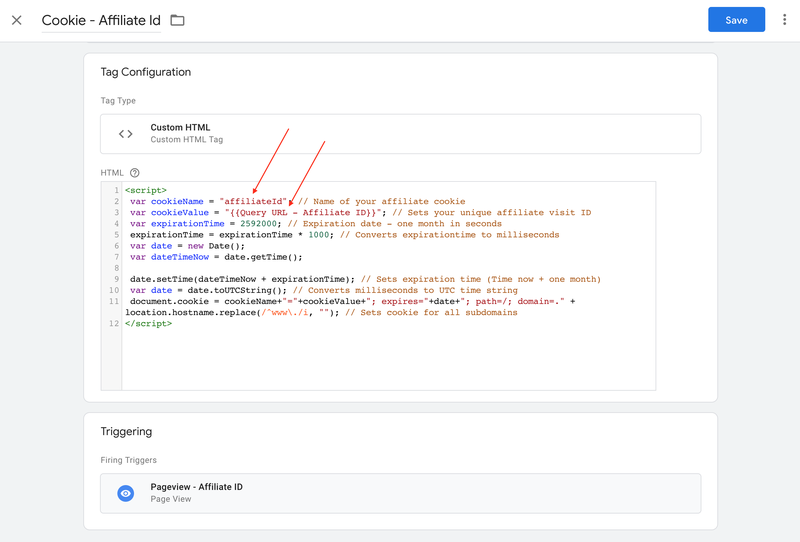 In this step you’re going to create a custom trigger that fires the tag from step 2 only when we detect a visit where our affiliateId query parameter exists in the URL. Pretty simple – just create a new page view trigger with the fire logic of Page URL matches RegEx of your query parameter that is in the URL. The last step to get this ready for GA is to create our 1st party cookie that stores this value that we can then use in our various tags. Go to variables once again and create a new 1st party cookie variable where the cookie name equals the cookie name that you set in step 1 above. Now you’re ready to send this data to GA or any other data source you need. If you have to send this data through a different custom tag then you can simply use this variable just like you would for any other variable inside of GTM. That’s it! If you have any questions please leave a comment below. 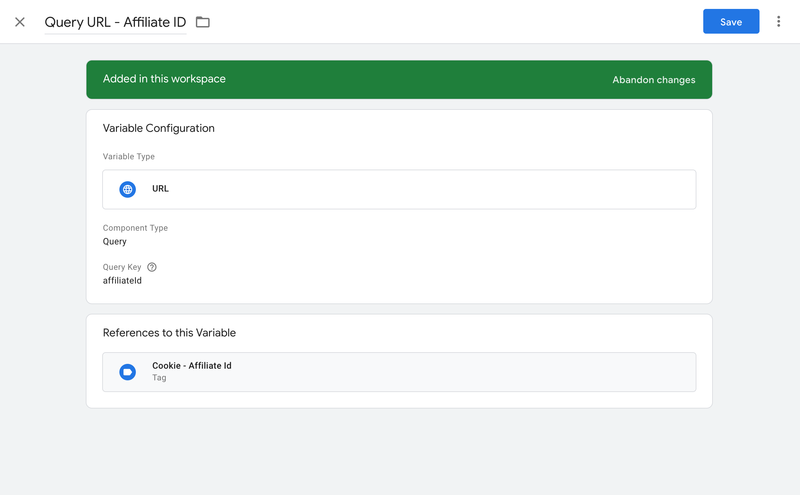 See how to store inbound affiliate IDs in a GTM variable for use in your own GTM marketing tags in 3 easy steps.